Before GE 2015 I was saying with regard to Mr Lee’s defamation case against blogger Roy Ngerng (the PM took Roy to Court in his personal capacity as Mr Lee) that Mr Lee clearly hadn’t suffered any damages to either his reputation or his pocket as a result of Roy’s defamation against him. How about now post GE2015? First, for the record, I have always believed that Roy did defame Mr Lee but that as he didn’t intend to cause him harm and apologised the ensuing action by the PM was out of proportion. I fielded Roy against the PM in part because I don’t like bullies, in part because I wanted to cut through the climate of fear and in part because my late father and the founder of The Reform Party has been through similar experiences but NOT because I agreed with what Roy wrote. My view has always been that more damage to Mr Lee’s reputation was as a result of his refusal to accept an apology in the first place and then move on. Mr Lee also turned down Roy’s initial offer of S$5,000. Mr Lee’s ill advised law suit damaged not only his own reputation, showing him up to be a petty bully who would stoop so low to sue a blogger but also damaged Singapore’s reputation. 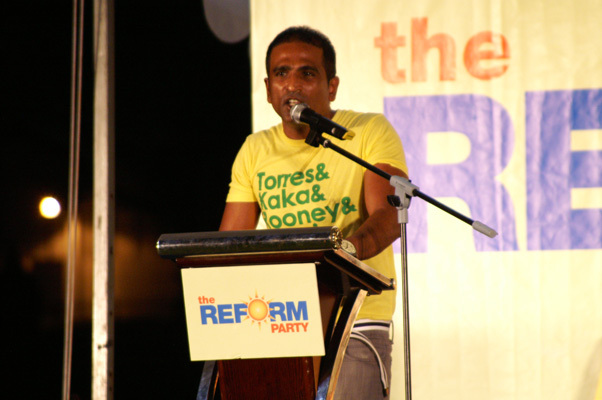 Many foreign media reported on the case embarrassingly with The Economist referencing the uneven power distribution and unnecessary force as a ‘Butterfly being Broken on a Wheel’.Last week the PM and his Party, the PAP were returned to government with a convincing mandate as a result of the votes cast in GE 2015 . In particular in Ang Mo Kio where the blogger turned politician Roy Ngerng stood against him in the Reform Party team, Mr Lee won with such an overwhelming majority that he will find it nearly impossible to prove financial damages. His reputation is also clearly intact. What actual damage has he suffered ? None! The case can’t be dropped. It has already been heard by the Courts and gone through an appeal. Mr Lee won and Roy Ngerng lost. So defamation has already been proven. The court has reserved judgement on the actual amount to be awarded but the case is over. Mr Lee can’t request a token sum himself at this stage. He has already moved his suit to the Supreme Court where he is suing for an amount equal to or greater than $250,000. If he were to suddenly drop his claim to S$1:00 then he is admitting he wasn’t damaged which would have implications for his defamation finding. Roy could even ask for that judgment to be overturned. So no, PM Lee can’t suddenly ask for a token sum. Mr Lee could have avoided going to Court in the first place if his lawyers had engaged with Roy, demanded a retraction, a public apology and also A Token Sum for hurt caused. It is only the Supreme Court that can decide to award a token sum and it is in their hands now. Is this likely to happen and what is a token sum? Well the Supreme Court of Singapore is for damages being sought equal to or in excess of S$250,000 but that doesn’t mean the Judge must award S$250,000 or more. He/She is not prevented by law from awarding a lesser sum. In the UK £1:00 is awarded as a token, to prove a point. This is usually that defamation has been proven so the judge must award something but to show his disapproval of the case he awards the lowest possible amount and each side pays its own costs.In Singapore I think it would be a very brave judge indeed that would award S$1:00 to Mr Lee. The only case I know of that has ever beaten Mr Lee in Court is the landmark constitutional case won by M Ravi another Reform Party candidate, limiting the PM’s powers and establishing that the PM does not have unfettered discretion in when to call a by-election. I don’t believe Foreign interest in the case or pressure will sway the Courts either. In fact the Justice has already made a statement in relation to the fact that ICJ observed the case. I believe if any such point about lack of proven damages were to be made by the Justice, the sum is more likely to be in the region of S$10-20,000 to be awarded for hurt feelings. It would need to be more than the S$5,000 already offered by Roy but far less than the S$250,000. Don’t forget this is a civil case. Roy also has a criminal case pending. If the fine in that case is excessive then according to the Law Roy will be prevented from standing for election for a period of 5 years. 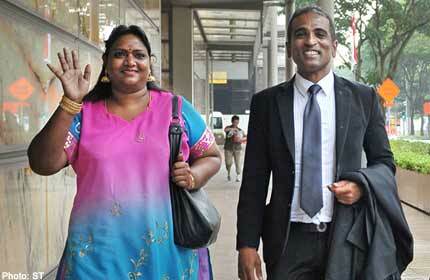 No matter what amount awarded against Roy in Mr Lee’s civil case it can’t stop Roy from standing. It could still appear to be politicly motivated though. Now that Roy has shown political allegiance by joining The Reform Party and has contested an election it could be claimed that the civil suit was motivated less by the need to prove defamation against Mr Lee the civilian than by the motivation of Mr Lee the PM, to crush an opposition voice. 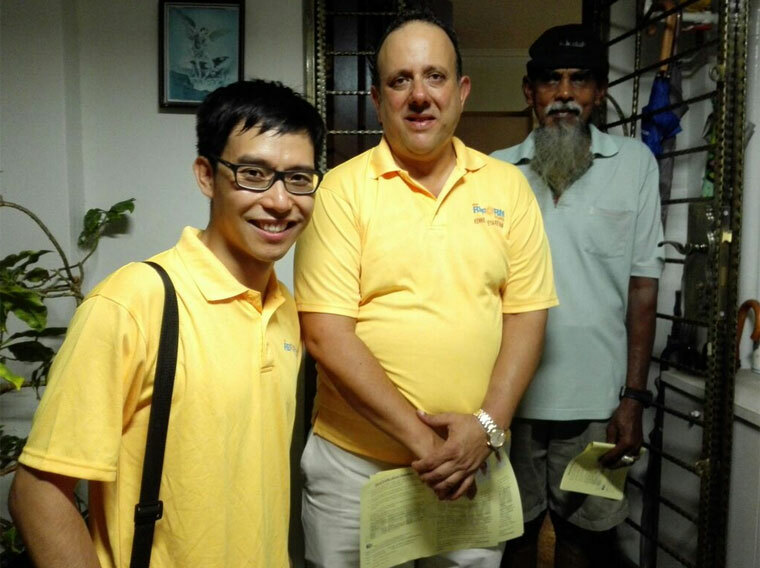 How ironic that the founder of the Reform Party J B Jeyaretnam was himself sued into oblivion by the PAP. Although that was before crowd funding! The PAP win in AMK may well turn out to be a hollow victory for Mr Lee. Please also read my earlier rebuttal to claims that Roy shouldn’t be contesting an election and was “a ticking time bomb” here . when things get tough the tough gets going. thanks for the sacrifices you’ve made to carry on JBJ’s legacy. I believe you’ve proven yourself in the political arena despite some reservations from people. 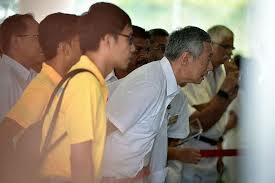 What you have done can only result in positive outcome for the nation if PAP listens. Sorry that my comment is not related to Roy but I agree with what you said about him. Well, I think it will be the other way round. It is shown that Roy has no credibility at all after the last GE. Given his result, it shows that only a small fraction support him. Sadly, he will be buried deep into the ground and no one will really care. Then again he doesn’t help himself much especially on social media given the way he blocks almost everyone who disagrees with him. PM’s lawyers had asked Roy to apologize and remove his defamatory posts. It was Roy who refused to do so. Everything was chronologically shown in court of what happened.